This one piece of paper costed me $220.50! This was from the Indianapolis Star TV Week paper, issued on Sunday March 19, 1967. 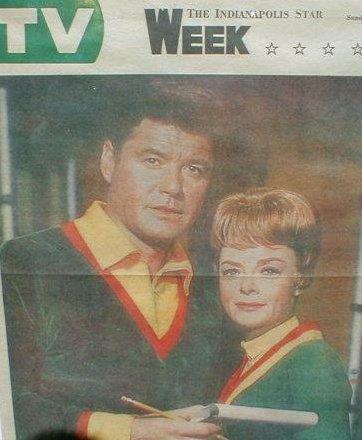 Promoting Guy Williams and space wife June Lockhart on "Lost in Space". I Purchase this item from Joel Rasmussen of Minneapolis, MN on November 12, 1998.